Infinity Ride 2016 is organized by Aditya Mehta Foundation in order to raise funds for sports for people with disabilities. 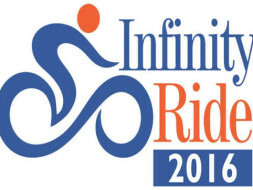 This is a signature ride that is being held for the second consecutive year. Last year we have raised 19 lakhs and have used the funds in order to promote sports for disabled people. AMF is the only foundation in India which promotes sports for para-athletes. Last year AMF provided artificial limbs, specialized sports wheelchairs, cycles and other sports equipment, sponsorship to represent India internationally, training opportunities etc. This year the aim of collecting the funds is to open a specialized sports training academy for the differently abled people. We look forward to your generous contribution and participation towards this event.